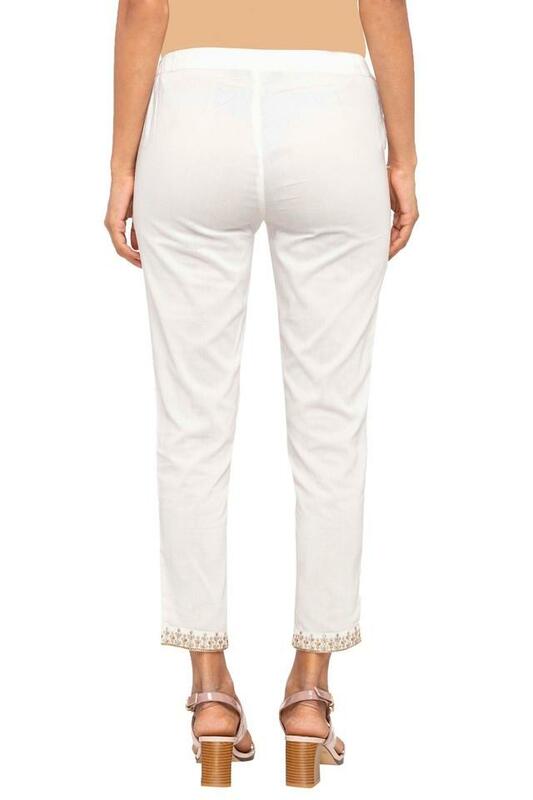 Women, who swear by refined fashion will surely love this pair of pants from the popular brand, Imara. It features a solid pattern that renders it trendy, while the perfect fit enhances its look. It also scores quite high on the comfort quotient owing to the use of good quality fabric in its tailoring. Step out in style by wearing this pair of pants, which has been tailored with care. Suitable for casual occasions, it will look good with a kurta or shirt.